Jazz is a genre that's guaranteed to bring a touch of class to any event. Mellow, fun, stylish, or brassy, bold and big - Jazz is a cool choice. Read more detailed information about booking a Jazz band for a wedding, party or other event. Find a Jazz Band for hire near you in minutes! Option 1. Enter your event location below & contact a Jazz Band directly! Option 2. Request multiple quotes from available Jazz Bands Get Quotes! Option 3. Read information & advice on hiring Jazz Bands Read Advice! WANT TO KNOW MORE ABOUT JAZZ BANDS? Read on for the most comprehensive guide to booking a Jazz Band, including how much a Jazz Band costs, exactly what they will do at your event, plus tips, advice and information to help make your event one to remember! A Jazz Band will undoubtedly unite your crowds, be it Traditional Jazz, Dixieland Jazz, Contemporary Jazz, Avant-garde Jazz, or Bebop Jazz, there is something for everybody to enjoy! What exactly will a Jazz Band do at your event? 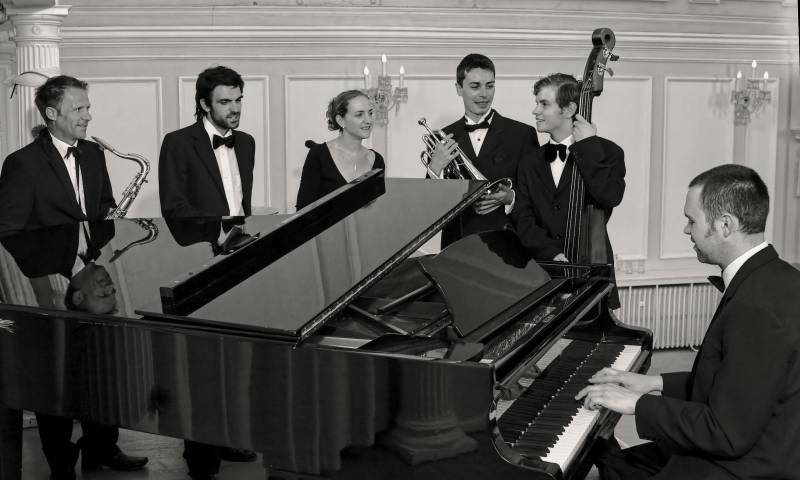 A Jazz Band can illuminate your event with their wild rhythms, sensual brass and smooth sounds! A Jazz Band may consist of a jazz drummer, a double bass player, a jazz guitarist, a jazz pianist and a jazz singer! When you hire a Jazz Band, they can create an incredibly relaxed atmosphere and can act as amazing background music for your guests to chat over! Or they can take to the main stage and put on a real show! There are a great number of Jazz Bands that are available to hire on our directory. A contemporary Jazz Band will more than likely combine their setlist with covers of traditional jazz songs, and jazz versions of modern pop songs! What event types are Jazz Bands hired for? You may want to hire a Jazz Band to bring in that big brass jazz sound as the bride walks down the aisle! Imagine a live Jazz Band playing ‘My Baby Just Cares For Me’ by Nina Simone at that very romantic moment! A Jazz Band will undoubtedly put everybody in a good mood! Because of the feel-good nature that Jazz provides, you may want to think about hiring a Jazz Band for the wedding drinks reception. As the newlyweds are drinking champagne and taking photos with the wedding photographer, a stripped down Jazz Band can be set up to play some smokin’ hot jazz to get everybody in the mood for celebrating the wedding! You may be hoping to hire a Jazz Band for your wedding breakfast entertainment? 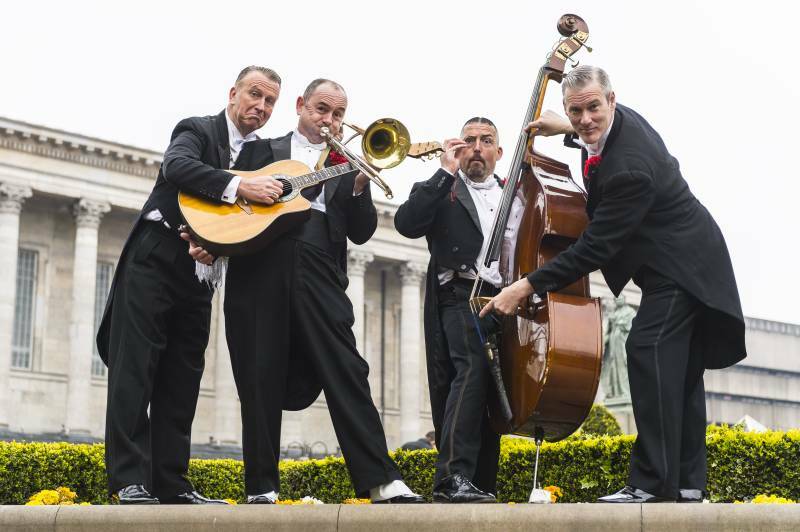 All of your wedding guests will be bowled over with a hired Jazz Band! The Jazz Band can be set up to play as your guests enter the venue, and they can pick up the same great mood as soon as the speeches have been read! What better way to celebrate your wedding than by hiring a live Jazz Band?! The songs themselves can be pop songs, rock songs, hip-hop songs or dance, but they will have all been given a jazzy makeover! 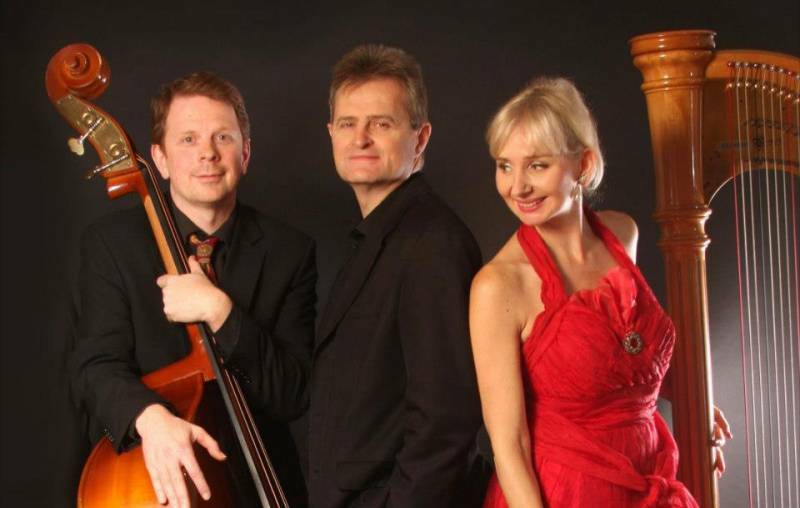 The Jazzy feel will give a feel-good sound to the wedding evening reception entertainment and will appeal to everyone from children to mature adults! If you want to hire a Jazz Band for your corporate event, then here at Entertainersworldwide.com, we have a host of Jazz bands for hire on our directory! The free and easy musical style of a Jazz band can really mellow the mood out at your corporate event, some of which can be rather stuffy! A Jazz Band would be ideal entertainment for work parties such as the Christmas work party, the end of the financial year party, and a co-workers leaving party! Jazz is a type of music that doesn’t have to be overbearing so your co-workers can still socialise. Jazz is also ideal for trade shows, product launches and shop openings! With that much brass and melody, everybody will want to be a part of it! When you think of Jazz musicians, you may think of Miles Davis, Louis Armstrong, John Coltrane, Dizzy Gillespie, Billie Holiday, Ella Fitzgerald, Herbie Hancock and Charlie Parker, to name a few! Between them, these men and woman have had many famous jazz songs that have hit the charts! The songs that a Jazz Band can cover at your party is astounding! How about a bit of ’Summertime?’ or maybe a slice of ‘What a wonderful world?’ And surely we all know ‘Feelin’ Good? !’ What a fantastic mood these songs and more will bring to your birthday party, anniversary or private function! How much do Jazz Bands cost to hire? Our simple to use entertainment directory allows you to firstly search for the best Jazz Bands who are local (or travel to your area) and then via the contact form you may message them directly to enquire for a no obligation quote to perform at your event. Some acts will also add a rough price guide to their profile for your convenience. What are the usual set formats and performance lengths for Jazz Bands? How much space will a Jazz Band need at your event? A Jazz Band can tailor their performance to times to suit you and your event, however, on average a professional Jazz Band will perform for two 45 minutes sets. What equipment and set up requirements do Jazz Bands need? As with most artists who sign up to Entertainersworldwide.com, a Jazz Band will provide most of their own equipment. You may want to enquire if an artist needs a PA to amplify their sound, in which case we would advise to use our easy to use messaging service to find out. We do ask that each performer gets a backstage area in which they can prepare for the performance ahead. If your venue does not have a backstage area, then we kindly ask that you enquire with the venue to seek an alternative space in which the performer can comfortably get ready to entertain. How can you find and book a Jazz Band with Entertainersworldwide.com? WANT TO RECEIVE A RANGE OF QUOTES FROM Jazz Bands?